Designer Heart charm sold separately! 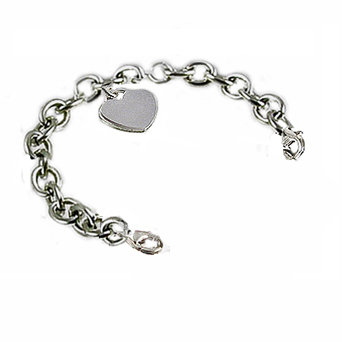 Deluxe Designer-Styled Heart Charm $12.95. Step 3: My Medical ID Tag is 1-1/2" which I subtract from 7-1/2" to get a Strand Size of 6"